Edible insects have seen a huge transformation from being recognized as famine food to a food that is now being included in the regular diet. Currently, insects are not only consumed during the dearth of traditional food products but are now a regular part of the food culture of numerous nations. Edible insects are also being used as animal feed apart from being consumed as human food as well. These insects are used as animal feed as they have ample amount of amino acids and necessary minerals in them. The global market for edible insects could be segmented in terms of the different types of insects and application. The global market could also be segmented in terms of geography. 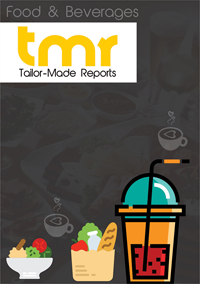 Such in depth and precise segmentation of the global edible insects market offered by the report helps in grasping the all-round growth prospects and the future outlook of the different segments of the market and thus, helping the potential buyers to make informed decisions while investing in the market. The report on edible insects market provides the analysis and forecast on regional as well as global level. It offers historical data of the year 2016 along with the anticipated data of 2017, and a forecast data up to year 2024 in terms of revenue as well as volume. The report also provide vital driving and impeding factors for the development of the global edible insects market and their impact on each region over the duration of the given forecast period. The report also offers the value chain analysis of the market with a list of key players. The research report on the global market for edible insects provides vital growth prospects and key trends and opportunities that may come up in the market over the course of the given forecast period. The research report is the result of in-depth and extensive primary as well as secondary research methodologies backed by crucial market insights offered by the industry professionals. The overall growth of the global market for edible insects can be attributed to the growing demand for food products with high value of protein among the middle class customers and increasing population across the globe. Insecurities related to feeds and food and the high process of animal protein are some of the other factors that are expected to augment the overall development of the global edible insects market over the course of the given forecast period. Consumption of insects or entomophagy is seen to have a positive impact on the health of the consumers and thus have also uplifted the overall demand for the market. In a recent development, insects can be bought in Finland as food. The Finnish food safety authority Evira have published a 44 page guideline for the safe consumption of insects. The overall growth of the global edible insects market is burgeoning with a group of trade lobby already in place for the Finnish products. Finnish company EntoCube has been at the forefront of this new wave of cricket-producing food companies and has been busy cultivating and marketing edible insects for the last three years. From a geographical standpoint, the global market for edible insects can be segmented into key regions such as Asia Pacific, Europe, North America, and Rest of the World. Asia Pacific is expected to be the dominant region in the market with significant contribution from countries such as China, India, Sri Lanka, Bangladesh, and Malaysia. HaoCheng Mealworm Inc., EnviroFlight, Kreaca V.O.F. LLC, AgriProtein Technologies, and Reese Finer Foods Inc. are some of the key companies in the global edible insects market.